We have a series of posts that will help you make a decision on the kind of online donation platform that fits your needs. This first post focuses on the class of options out there for orgs who don't need a lot of bells and whistles when it comes to major fundraising and donor management. This is the "I need a Donate button on my website" kind of organization. Your needs are different from a larger org who may be running multiple campaigns, integrating email marketing, launching peer-to-peer fundraising, etc. We'll get to those in the next post. PayPal Pro lets you accept credit card payments & PayPal through your website and comes with several nice features. As a well-known brand, your members and donors may already have a PayPal account, which makes it easier to give. While nonprofits can take advantage of PayPal Pro, they position their services more toward small business and e-commerce. Strengths: You get a ton of payment options and robust e-commerce integration. If you handle international donations or need multiple payment options, PayPal pro would be a good option. Weaknesses: This is just a payment gateway option with capabilities for more if you have the technical expertise to implement. You won't get anything in the way of donor or campaign management. They have a flat rate for all transactions, which means no discounted rates for ACH/e-check. Offering recurring giving for your donors is an additional monthly charge of $10. Best For: Orgs whose donors want to primarily give through PayPal and/or need e-commerce and shopping cart capabilities; technical expertise on staff for integrating. We found in our research that some folks were really excited about using Google Wallet for nonprofits. That may have been so once upon a time, but as of this publication in 2017 Google Wallet is not available for nonprofits. If you're a sole proprietor, you can use Wallet to accept commercial payments, like rent or payment for services. Corporations and nonprofits cannot receive money through Wallet. Stripe offers 100+ features right out of the box and a complete commerce toolkit built for developers. They boast they have the "best software platform for running an internet business." So, what can a nonprofit do with Stripe? You can build your own payment checkout flow for web and mobile, but it's not an all-in-one platform or giving portal. There's some setup and work involved creating embeddable forms that you can hook into your website. Checkout flows are available, for a small additional yearly fee. *Stripe offers lower processing fees to qualifying nonprofits, but you have to contact them directly for details. Strengths: No monthly fee or startup fee; simple, transparent pricing; great for orgs with developers who want to customize and integrate tools with the API/plugins. Weakness: Not built for nonprofits and churches who focus on giving/donating; need some knowledge on integrating Stripe with current systems and processes. Best for: Business, e-commerce, or larger nonprofits who want to build custom donation experiences. 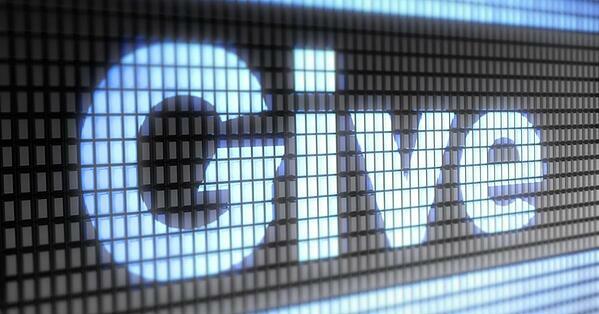 This online giving platform is built especially for nonprofits. The basic features make it easy for your members and donors to give more regularly. The Giving Spring was built specifically for nonprofits and churches, with the philosophy that organizations shouldn’t have to sacrifice a large portion of their gifts to expensive online services. They offer the lowest fees and rates, with one low monthly pricing plan. You get the features you need, with the ability to make feature requests. Full disclosure: SpinWeb is affiliated with The Giving Spring as a technical/marketing partner. Strengths: The Giving Spring boasts the lowest fees, plus excellent customer service as a main selling point. You won't get overwhelmed with choices or pay for unnecessary bells and whistles that you'll never use. It was specifically created for nonprofits and churches who want to get started accepting donations online, and they're ready to hold your hand and do all the technical work to get you set up. Weaknesses: If you're looking for more donor & event management features, then you may need to go to the next level of services out there. Best for: Nonprofits looking for a hands-on customer service experience to get them started with online donations. Have a similar service that you've used, and would like for us to add to our list? Leave a comment and let us know about it!